Since the beginning of time God has sought to communicate with the people of His creation. God created man in His own image with the purpose of mankind having a relationship with their God. God has always been the initiator of this relationship and has used His Word as a means of communication. It is important to understand as well that when God speaks and communicates with man, He does it with purpose. God’s Word to the Old Testament Patriarchs. Adam and Eve: It was God’s custom to speak with them during the cool of the day - Genesis 3:8. Noah: God told Noah to build an ark - Genesis 6:13-14. Joseph: God spoke to Joseph in dreams in preparation bring the 12 tribes of Israel to Egypt for 430 years. God communicated with all of the patriarchs with His spoken voice, through dreams, visions, etc. His Word to all of these individuals served as a guiding influence in their lives to bring the nation of Israel into existence. Throughout the Old Testament God continued to speak to His people through His prophets. Much of God’s Word came into existence through these prophets, who not only spoke God’s Word, but also wrote it down. God’s Word through the prophets was a constant guiding influence for the nation of Israel as they came into existence and their prominent role among the nations. God used over 40 people from every walk of life over a period of 1600 years to write His word. In all of this, He spoke with continuity from Genesis to Revelation. Amazing! The Influence of the Word in the New Testament. Even though Jesus was the Word made flesh, He also used the written Word to validate Who He was and His ministry. The Word of God in the Formation of the Early Church. This is an important point to remember for us as well. There are sometimes things that go in the life of the church that are called movements of the Spirit that cannot be validated by the God’s word. Paul wrote in Ephesians 4:14 and 1 Thessalonians 5:21 not to be swayed by every wind of doctrine, but to test and prove all things. Paul constantly referred to the Word in the Old Testament with the phrase “It is written” (See Romans 1:17,3:4, 9:33, 10:15, 11:26, 14:11, 1 Cor 1:19, 14:21, 15:45. The Role of Scripture in the Church. 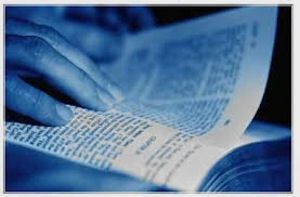 We are to read and meditate in it - Joshua 1:8, Psalm 1:1-5. We are to rightly divide it – 2 Timothy 2:15. When we are faithful to God’s Word we will be extremely blessed in all that we do. We see this in Psalms 1 and Joshua 1.